American Cooling and Heating Announces Reasonable Arizona Regional Alternative To Cheap AC Units. Local Phoenix Air Conditioning Installation Center Offers Compelling Price Incentives To Valley Metro Residents and Businesses Because Cheap AC Units Aren't Always The Best Choice. “Our company is built on integrity and quality workmanship. We value reasonable pricing and quality AC installation over cheap services and inferior system components. Every American Cooling and Heating customer receives specialized attention dedicated to meeting the precise air conditioning needs of their home or business,” Management, AC&H. As Valley Metro temperatures continue to climb, the demand for local AC replacement will increase. Although the current area weather forecast predicts a slight drop by Friday, desert temperatures of 95-degrees will never be comfortable without the use of efficiently installed Phoenix air conditioning systems. Gilbert and Mesa will fair no better. A possible dip by two additional degrees won’t reduce a single local cooling bill. The heat is on. Local residents must be warned of the risks associated with fly-by-night vendors, shoddy workmanship and obsolete dry-shipped technology. Customers who know the meaning of dry-shipped or dry-charged air conditioning systems may already be playing into the hands of a cut-rate Glendale AC repair center. R-22 refrigerant, prevalent in older air conditioning units, is under a government-mandated phase out process. By the year 2020, the product will no longer be available to the U.S. air conditioning market place. However, certain product vendors, as well as a group of cut-rate AC service centers, have discovered a “loop hole” in the R-22 phase out program. New AC units are being shipped dry-charged. This means the unit is shipped less the refrigerant fluids. 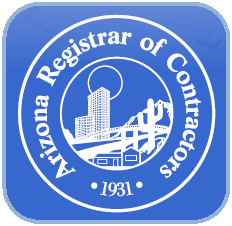 Dry-shipping air conditioning systems permit dubious dealers to provide homeowners and business owners with a low-cost front-end solution to immediate Scottsdale, Mesa and other Phoenix regional AC installation requirements. The long-term customer expense shows up months later via poor system efficiency, higher costs in maintenance and an eventual forced refrigerant replacement expense. Quality AC unit installation must include quality pre and post installation services. AC&H never takes shortcuts – neither does the company mislead customers concerning the values, pros and cons of following any given choice in AC products or installation methods. Competitive AC prices always focus on unit efficiency, correct product-to-requirement match up, and reliable professional system installation. Air conditioning installation is a competitive industry. Although some “installers” view the market as an opportunity to low-ball the competition at the buyers expensive, American Cooling and Heating plans to provide long-term system support for Valley Metro business owners and residents. 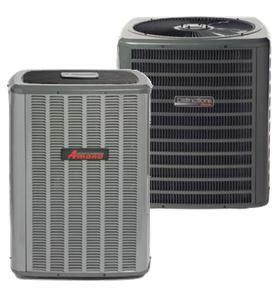 The AC&H product line includes top suppliers such as Amana, Carrier, Goodman, Rheem, Trane and other major brands. Areas serviced include Gilbert, Mesa, Phoenix, Scottsdale, Tempe and all neighboring Arizona towns and cities. AC&H technicians are drug tested, licensed and hand trained for residential and commercial AC services. Valley customers desire reasonable cost savings but no one is looking for “cheap” AC replacement options. AC&H maintains one of the best reputations in the industry. The company offers expert 24-hour Phoenix AC installation and AC service of Amana, Carrier, Lennox and other top name AC and Heat Pump units. 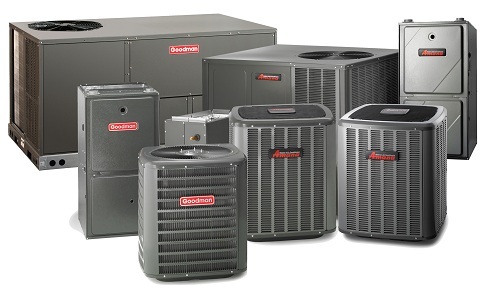 Every AC&H service truck arrives on site fully stocked to service Goodman, Rheem, York or any other major AC system. American Cooling and Heating prices are reasonable but the company installed AC products and services are never “cheap,” “loop hope focused” or “shovel” installed. Each technician fully understands the factory specs associated with a given manufacturer’s unit. Every completed installation is fully inspected, leak tested and performance tested before being released to the customer. AC buyers, home or business centered, deserve reasonably priced quality. With American Cooling and Heating, no customer receives a shade-tree solution that is limited to short-term benefits and long-term additional costs. The pricing is upfront, clearly defined and covered by the AC&H commitment to competitive pricing, professional installation and the best factory warranties available. For More Information, please visit: http://www.americancoolingandheating.com/.